Jon Prescott Haddock Headed West – A gathering of family and friends for Jon Prescott Haddock, 77, will be held in Columbia, S.C., Friday, April 13, 2018 from 5:00 pm until 8:00 pm at Dunbar Funeral Home, Devine Street Chapel. Interment will be held at a later date at Willow Township Cemetery in Holly Springs, Iowa. Jon was born On September 4, 1940 in Sioux City, IA, to J. Bruce and Georgette Haddock. He was a graduate of Holly Springs-Hornick High School and the University of Nebraska-Omaha. Jon was commissioned as a 2nd Lt in the Iowa Air National Guard in June of 1962. He was deployed, as USAF Fighter Pilot with the 185th Tactical Fighter Group, in January of 1968 in support of the Viet Nam War. After departing active duty in 1969, Jon and wife, Sue returned to farming in Iowa and began their family. 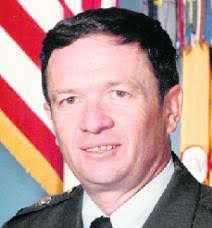 In 1980, he resumed active duty as a Chief Warrant Officer in the US Army including service in Operations Desert Shield and Desert Storm before retiring in August of 1994. In 30 years of military aviation, his favorite aircraft was the F-100 Super Sabre and the Blackhawk Helicopter. Jon was known for his sense of humor and his pride for his four girls. In addition to his parents, he is predeceased by a sister, Marilyn Haddock Evans, a brother, Ronald Haddock and a granddaughter, Kathryn Bigwarfe. Survivors include his four daughters, Andrea Haddock, Robin Haddock, Alexa Bigwarfe (Jeffrey), Gayle Haddock (Michael Ruguleiski), four grandchildren, William Crutchlow, Braedan, Ella, Charis Bigwarfe, former wife, Sue Haddock.